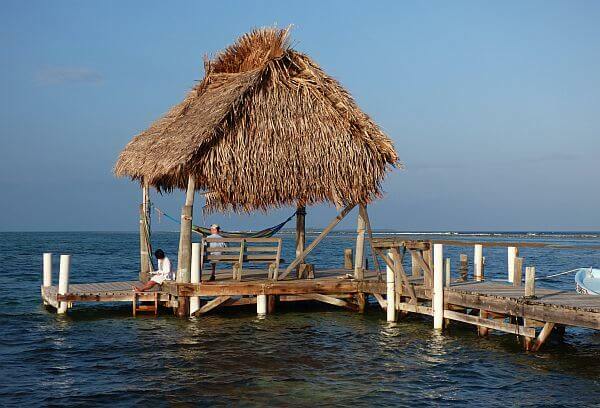 What does the word “luxury” really mean when you’re heading to Belize? This is, after all, a country where nature is the main draw and there are exactly zero international luxury hotel chains. (Just a lot of really nice independent ones.) There are places where you will get turndown service, a driver in a nice SUV, or a villa with a view, but you can get those things almost anywhere around the world. We think the best reasons to come to Belize are the experiences, especially the ones that bring you up close and personal with the sea life along the reefs. So when we decided to go exploring on the water in Belize, we connected with a company that’s been taking visitors around the waters of Belize for kayak vacations almost as long as the place has been an independent country: Island Expeditions. They started out doing island-to-island kayak expeditions more than 30 years ago when there was no place to stay except in the tent you carried with you. 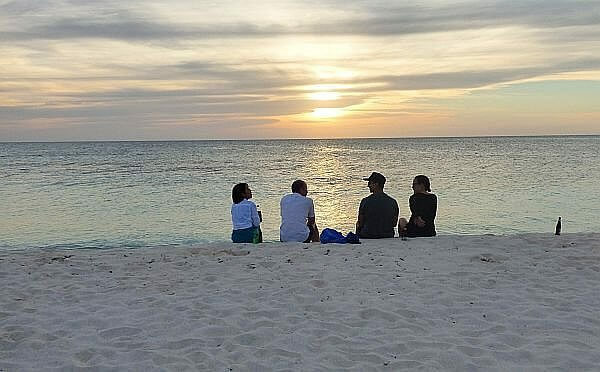 They’ve gone a bit more upscale since then, but not so much that they have gotten away from the prime objective: leave the distractions behind and embrace the natural wonders. In our latest feature story from Belize, we take a pass on the permanent bungalow set-ups Island Expeditions has in some spots and instead went about as far as we possibly could from land, out to Glover’s Reef Atoll. From there we could swim right to a few patch reefs or reach others after 10 minutes of paddling. We could go line fishing from a motorboat or paddle for miles and get to another island that was just a speck in the distance. There were multiple snorkeling trips with hundreds of fish, rays, sea turtles, and lobsters. We spent as much time on the water and under the water on this Belize trip as we did on our speck of land sticking out of the sea, during the waking hours at least. At night we soon got into a natural rhythm of nature. We rose early and saw the sunrise over the water. At night we would see all the constellations after dinner, then turn in early without the pull of electronics keeping us up for hours more. 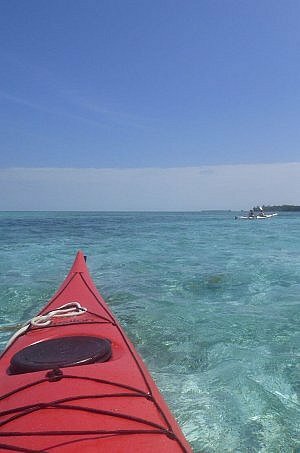 For some people, this Island Expeditions kayaking tour would be far too rustic for their idea of a Belize vacation. For us it felt truly relaxing, stress-busting, and joyous. You could maybe even say it felt luxurious. See the full story here: No Distractions From Nature on Glover’s Reef Atoll in Belize.